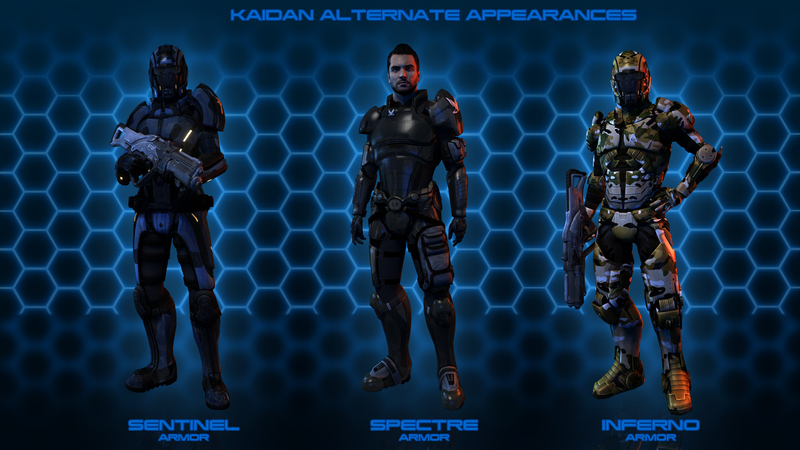 The Alliance Warpack gives 8 new additional outfits to Ashley, Kaidan, James and EDI. 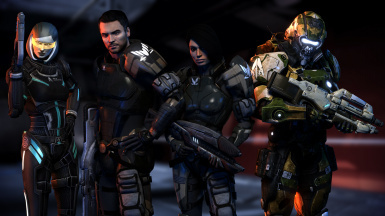 The Alliance Warpack, and its associated iterations hosted at its Nexus page, are not associated with BioWare. I make no money from this project. This mod is supplied "as is" and you use it at your own risk; I am not responsible for any damage to your game or PC by use of this mod. All inquiries regarding this mod must be directed to kinkojiro via Nexus Mods’ messaging service. The Alliance Warpack, and its associated iterations, utilize the following textures and meshes which have been graciously provided by the following authors, without whom this mods would have not been possible. 2. kinkojiro for creating the structure that enable this mod to be a stand-alone one. This mod requires EXPANDED GALAXY MOD v1.085 or later. 1. Defender Armour: Say goodbye to impractical dress-suits. Ashley dons the Systems Alliance Marines' favoured armour-set for hard, fast, strike missions. Encased in hardened ceramic and protected by power kinetic-barriers, this armour is a testament to humanity's endurance and grit. 2. Spectre Armour: Still fresh from elite armour-smiths of Spectre RnD, Ashley shoulders a prototype armour for the first human spectres. 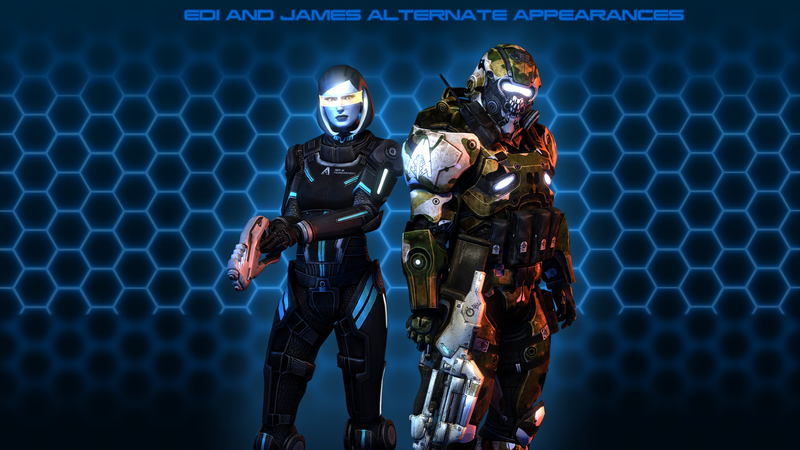 With jet black ceramic, complimented by tan-stripes and the Spectre insignia, this armour is a bold statement of the Citadel's reach. 3. MultiCam Terminus Assault Armour: Ideal for extended operations in the lawless regions of the Attican Traverse and Terminus System, this armour's stealth and shields are complimented by the versatile Multicam pattern. Ideal for when stealth-ops go loud! FYI: If you'd prefer to utilize Ashley, with her more practical combat-bun, please see the Optional Files Section. 1. 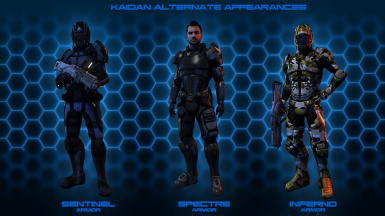 Sentinel Armour: Modified to the Kaidan's standards, this Kestrel-armour derivative is ideal for the hard-hitting biotic-specialists of Major Alenko's 1st Special Operations Biotic Company. 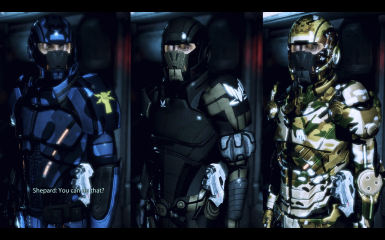 It's bold insignia may barely skirt the Alliance uniform-code, but the 'Biotic Bastards' favour this armour for their 'loud' missions. 2. 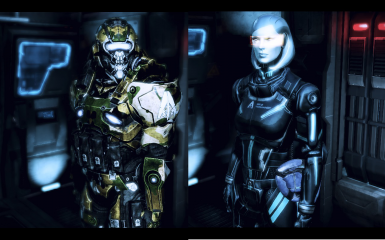 Spectre Armour: Still fresh from elite armour-smiths of Spectre RnD, Kaidan shoulders a prototype armour for the first human spectres. With jet black ceramic, complimented by tan-stripes and the Spectre insignia, this armour is a bold statement of the Citadel's reach. 3. MultiCam Inferno armour: Favoured by the Alliance's 'sentinel-operatives', this armour has been modified for greater protection. Eschewing the 'open-faced' helmet, this version utilizes the tested Alliance Breather Helmet and utilizes the MulitCam pattern for greater protection and stealth. 1. James's Garmr Armour: This prototype armour makes it way back into the Alliance's good-graces, via the hands of James. Layered in MulitCam and sporting a distinctive-grinning skull, this armour is ideal for the marine whom wants to deliver the pain! 2. 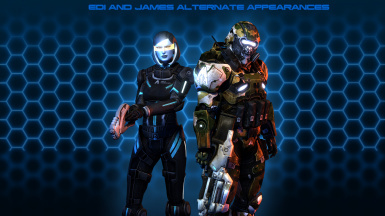 EDI Assault Armour: Encased in heavy-duty, assault armour, EDI is ready to take the fight directly to the enemy. Say goodbye to impractical catsuits. 1. 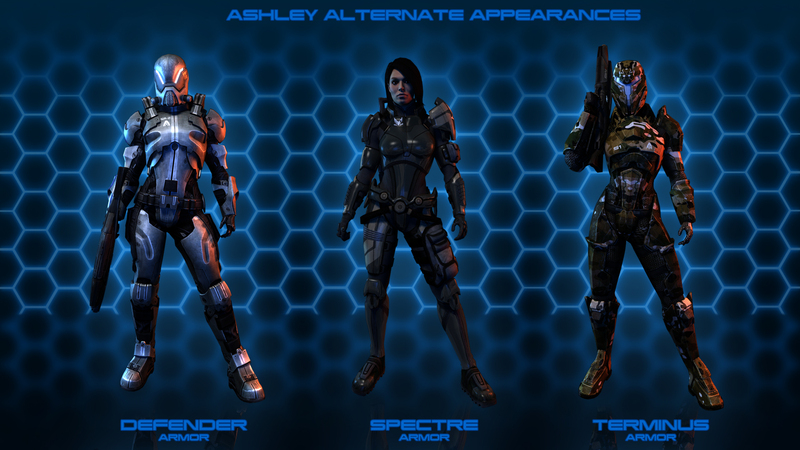 Does this mod supersede other Ashley/EDI/James/Kaidan combat mods? No. 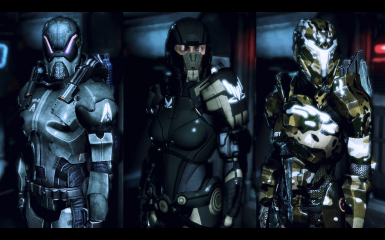 This mod ADDs armors for the aforementioned characters. You can choose whether to use these characters outfits when a mission starts in the squadmate gui. 2. Does this mod fix Ashley's marksman power bug? Only for the new suits. We recommend using a 'universal' marksman patch to fix it completely. 3. I installed this mod, but now when loading squadmates the game crashes or takes forever to load.